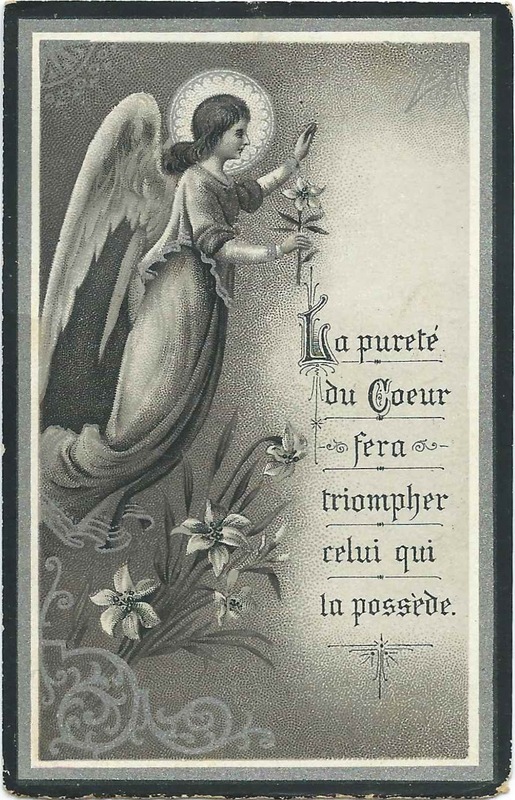 Memorial card printed on the occasion of the death of Mlle. 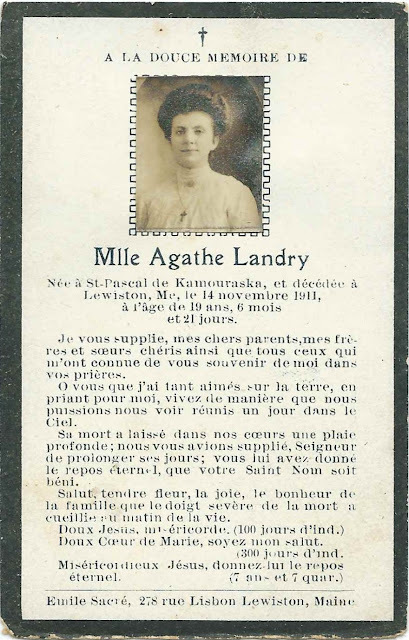 Agathe Landry, who died November 14, 1911 at Lewiston, Maine, at the age of 19 years, 6 months and 21 days. According to the card, she was born at St. Pascal de Kamouraska, Quebec. According to the Drouin Records, Marie Agathe Almanda Landry was baptised in April 1892 at St. Pascal, Quebec. She was the daughter of Etienne and Marie Louise Lumina (Levesque) Landry. The family came to Maine about 1907 and settled at Lewiston, Maine. Agathe had at least eight siblings, I believe.